SIOUX CENTER, Iowa — For many people, root crops like potatoes, beets and parsnips are cool-season staples, emblematic of fall and winter stews, soups and roasts. 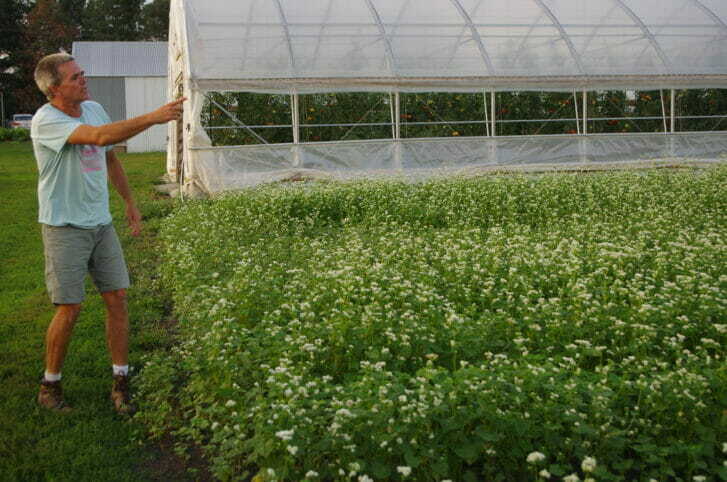 For farmers, these crops are an important source of income during the off-season. Their success, however, depends on how they are managed, harvested and stored. John and Janna Wesselius have been growing root crops, and other vegetables, for 13 years at The Cornucopia, near Sioux Center. They will share their experience with these crops at a Practical Farmers of Iowa field day they are hosting on Thursday, Nov. 8, from 3-5 p.m., on one of their farm fields near Sioux Center (1768 Harrison Ave., just east of town). The event – “Root and Tuber Crop Production” – is free to attend, and will include dinner afterwards at The Fruited Plain Café, a local eatery that uses produce from The Cornucopia. John and Janna have booked a room at the café for field day attendees to gather and network. RSVPs are appreciated for the meal to Debra Boekholder, (515) 232-5661 or debra@practicalfarmers.org, by Monday, Nov. 5. The field day is sponsored by Iowa Farmers Union. During the field day, John and Janna will show several root crops still in the ground and share production methods for each crop, from crop varieties to seeding and watering, harvesting to packing and storing. They will demonstrate implements, including a bed lifter (undercutter), and explain their harvest process that aims for maximum efficiency. John and Janna will then lead guests back to their home farm (3681 Ibex Ave., about 6 miles north of the Harrison Avenue field) to lead a tour of their walk-in cooler and root cellar. In addition to vegetables, John and Janna raise pastured broilers and Berkshire pigs. 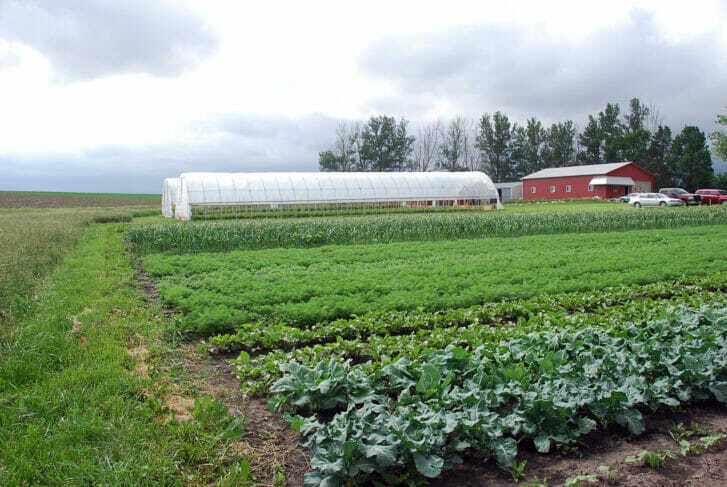 All produce and livestock are Certified Naturally Grown, and sold to CSA customers, wholesale accounts and at farmers markets in Sioux City, Sioux Falls and Sioux Center. Directions to the field day starting location: From U.S. 75 south of Sioux Center, head east on 410thStreet / 20th Avenue SE. In 1 mile, turn left (north) onto Harrison Avenue. The field will be the first drive on the right (east) side of the road. 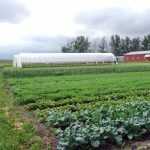 Practical Farmers’ 2018 field days are supported by several sustaining and major sponsors, including: Albert Lea Seed; Applegate Natural & Organic Meats; Blue River Organic Seed; Cascadian Farms; Center for Rural Affairs; Farm Credit Services of America; Gandy Cover Crop Seeders; Grain Millers, Inc.; Green Cover Seed; Green Thumb Commodities; Iowa Agriculture Water Alliance; Iowa Beef Center; Iowa State University Department of Agronomy; Iowa Sustainable Agriculture Research and Education (SARE); ISU Extension and Outreach; La Crosse Forage and Turf Seed; MOSA Organic Certification; Natural Resources Defense Council; Organic Valley / Organic Prairie; PepsiCo; Pipeline Foods; Premier 1 Supplies; Sunrise Foods International; The DeLong Company; The Fertrell Company; The Scoular Company; Unilever; University of Iowa College of Public Health (I-CASH); USDA: Natural Resources Conservation Service; Wallace Chair for Sustainable Agriculture; and Welter Seed & Honey Co.